Time until Crime Patrol 2: Drug Wars release day! 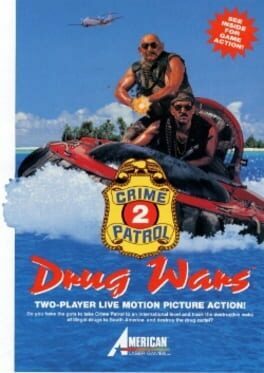 Crime Patrol 2: Drug Wars (also known just as Drug Wars) is a live-action laserdisc video game, released by American Laser Games in 1993. It was subsequently ported to the 3DO Interactive Multiplayer and CD-i. As the title implies, it is the sequel to the relatively popular arcade game Crime Patrol, with very similar gameplay, objectives and scenery. The game was re-released by Digital Leisure in 2002.